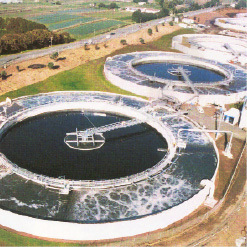 Since our formation in 2003, we have manufactured over 1,000 control systems, many of which has been supplied to the industrial and municipal markets including the water, waste-water and renewable energy segments. These include programmable logic controllers (PLC), remote telemetry units (RTU), supervisory control and data acquisition (SCADA) systems, and data logging systems. Our engineers have a breadth of experience with field instrumentation equipment for measuring flow, pressure, temperature, level, pH, turbidity, etc as well as stand-alone analyzer products. The Champion staff has been received comprehensive factory training on the latest Motorola MOSCAD ACE3600 RTU device. We are now fully equipped to incorporate the ACE3600 into control systems for the South Florida Water Management District and any other municipality that is incorporating this product. Our staff has received comprehensive factory training on the technical specifications and utilization of the newer Motorola MOSCAD ACE3600 RTU device. We are now fully equipped to incorporate the ACE3600 into control systems for the South Florida Water Management District and any other municipality that is incorporating this product. 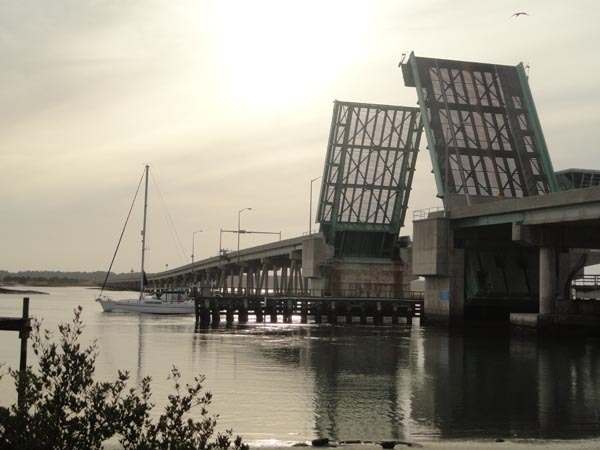 Champion Controls supplies control systems throughout the USA for control of heavy movable structures such as Bascule Bridges, Vertical Lift Bridges, Swing Span Bridges and Gantry/Traveling Cranes. The leading A&E firms, general contractors and electrical contractors that serve this market know that they will always receive the best when they choose a Champion Controls solution for their heavy movable structures projects. Champion Controls provides fully engineered control panels that incorporate everything to ensure safe motor control of heavy movable structures that meet the USCG, AASHTO, and DOT regulations. Designs featuring redundant control PLC can also be supported. With our headquarters in Fort Lauderdale, Florida, we are ideally situated to serve the needs of the almost 100 movable bridges in Florida. We are familiar with the special environmental needs of harsh coastal installations therefore our standard designs incorporate stainless steel cabinets providing NEMA 3R or NEMA 4X protection from the environment. Electric motor drives are commonly used to control heavy movable structure. These drives must be tested to ensure that they can perform their desired function when called up. We provide motor and drive testing services to supports those testing needs too. Our ISA certified electric motor dynamometer is designed to load test and certify the capabilities of horizontal 230V AC or 460V AC electric motors. The system supports electric motors ranging from small fractional HP up to 100 HP and up to 600 lb-ft continuous torque (900 lb-ft intermittent). The inhouse dynamometer gives Champion Controls the unique advantage of conducting the drive test required by the AASHTO specification without the hassle of having to send the completed works out for testing. All testing is witnessed and certified by an independent third party. Click the link to learn more about our motor testing services. Contact us if you wish to book time on our dynamometer. Champion Controls supplied systems to automate the ramp gates for the recently completed reversible express lanes addition to I-595. The $1.2B FDOT project was completed in March 2014 after 4 years of construction. Entrance ramps to the Express Lanes are equipped with automated red and white striped warning gates in their closed position along the ramp to prevent a vehicle from entering the lanes in the wrong direction. The last gate is a barrier gate, designed to stop a vehicle. 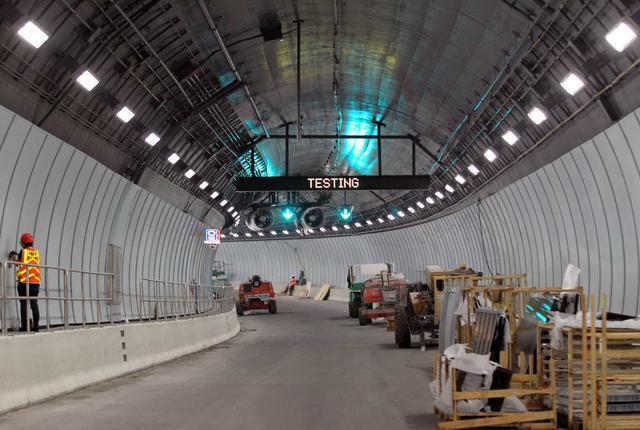 In addition, Champion Controls supplied lighting control panels for FDOT’s Port of Miami Tunnel. The project, which is the first tunnel in Miami, provides a cost effective way to link the Port of Miami to the adjacent Interstate highway system. The Tunnel runs from Watson Island to Dodge Island.